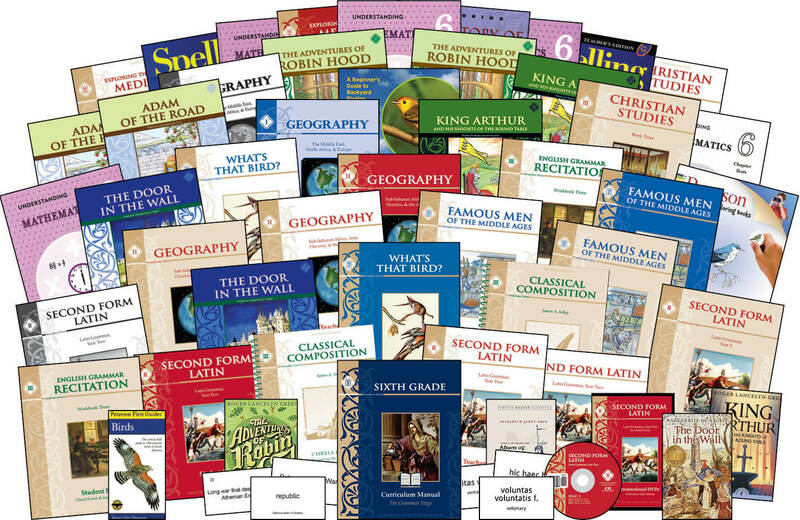 In addition to introducing your child to the classical stories and people of the Middle Ages, we highly recommend these flashcard supplements to improve your child's recall as he or she explains and remembers the famous events, stories, and people that have shaped history and Western civilization. Who were the Visigoths? What is Mecca? You can be sure your child will know and remember these important facts, and more, with Memoria Press' flashcards. You can purchase sets made for each Famous Men book series. The story of the Middle Ages is told through the lives of Attila the Hun, Charlemagne, William the Conqueror, Edward the Black Prince, and Joan of Arc, among others. Famous Men of the Middle Ages guides students through the turbulent “dark age” of history and illustrates the transition from the end of ancient times to the birth of the modern era. This exciting book is a perfect precursor to Famous Men of Modern Times. Our Student Guide comprehensively covers Famous Men of the Middle Ages. Each of the 30 workbook lessons includes famous quotes, a drill of key people and places, 10 vocabulary words, 5-10 comprehension questions, and an activities section that includes mapwork, timelines, discussion questions, and art projects. The program also comes with an appendix of supplements, including maps, a “Who Said That?” worksheet, a timeline, drill questions, and drawing pages. The Teacher Guide includes tests. A digital copy of the book can be found here. Our Student Guide comprehensively covers Famous Men of the Middle Ages. Each of the 30 workbook lessons includes famous quotes, a drill of key people and places, 10 vocabulary words, 5-10 comprehension questions, and an activities section that includes mapwork, timelines, discussion questions, and art projects. The program also comes with an appendix of supplements, including maps, a “Who Said That?” worksheet, a timeline, drill questions, and drawing pages. Like the Old Testament Flashcards, these New Testament Flashcards will assure that your student is Biblically literate. Who was the "highest prophet of the Lord"? What is "the Messianic title Jesus gave for himself"? What road is called the "Via Dolorosa"? Knowing these facts not only inculcates the great truths of Scripture, but will enable your child to better read great literature. This is the textbook for Rod & Staff's Grade 6 Mathematics Set. This is Part 1 of the Teacher's Manual for the Rod & Staff Grade 6 Math Set. This is Part 2 of the Teacher's Manual for the Rod & Staff Grade 6 Math Set. This book contains the Quizzes and Speed Tests for the Rod & Staff Grade 6 Math Set. The pages are perforated and can be torn out. This book contains the Quizzes for the Rod & Staff Grade 6 Math Set. The Chapter Tests are perforated and can be torn out. What's that Bird? combines several classic books on birds, this program was developed at Highlands Latin School and is used with 5th graders. The study of birds uses an easily observable part of nature as the source of a fascinating science study. Using several classic books on birds, this program was developed at Highlands Latin School and is used with 5th graders. The study of birds uses an easily observable part of nature as the source of a fascinating science study. The greatest communicators of ancient times, Quintilian and Cicero among them, employed the progymnasmata to teach their students the art of communication. The 14 exercises, organized from the simplest and most basic to the most complex and sophisticated, were the core education of a classical speaker, designed to produce what Quintilian once called "the good man, speaking well." Buy any two Composition Sets with DVDs and get a reduced package price of $120. Enter code "CCSET" at checkout. Christian Studies III is the last book in a three-year reading course that builds faith by teaching Salvation History as real history. Students work through one-third of The Golden Children’s Bible each year, for three years. Your child will learn the fundamentals of Bible stories, history, and geography, with solid detail at a manageable pace. The college-ruled lines of Copybook Cursive IV are perfect for older students honing their penmanship with the Scripture passages from Christian Studies III. Based on years of research, Memoria Press is pleased to offer the eighth year of our planned Jr. K – 12th grade classical curriculum. Now your child can have a Highlands Latin education at home using the very same materials our teachers use in our highly acclaimed programs. By following the daily lesson plans in our full-year Curriculum Manual, you will have every tool you need to give your child the very best education possible. Concerning Latin: Students should complete First Form Latin before moving to Second Form. Concerning Composition: Students should complete Classical Composition I-II before moving on to Classical Composition III: Chreia & Maxim. Please consult our Classical Composition Sequence Chart if you have any questions. Click here to read Cathy Duffy’s Review of Memoria Press’ Complete Curriculums. There are lots of box curriculums available for homeschoolers to buy, but the Memoria Press grade curriculum sets are amazingly more rich and satisfying than anything else we have looked over or tried to use in our home. This is our 7th year homeschooling our children, grades 2nd, 4th, and 6th, and this is our fourth year using the Memoria Press curriculum. 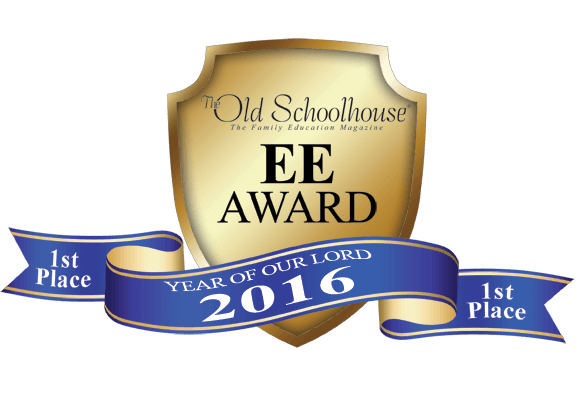 The MP curriculum packages have been an amazing benefit to our homeschool in so many ways! My favorite teacher-aid is the Grade Curriculum Manuals. They have our entire school year written out into a daily schedule that is clear and easy to follow. I buy the curriculum packages for each grade, so that we have everything we need for each student, right out of the box. The sixth grade curriculum set contains standard 6th grade math (Rod & Staff Publishers) and spelling (Spelling Workout G). Everything else is brought together and/or published by Memoria Press. Second Form Latin, World Geography II, English Grammar, Composition, Famous Men of the Middle Ages History, Literature selections with amazing literature guides, Christian Studies III, and for science, What’s That Bird and The History of Medicine. The format is consistent throughout all the different subjects, which lends to ease of use and a simple beauty. 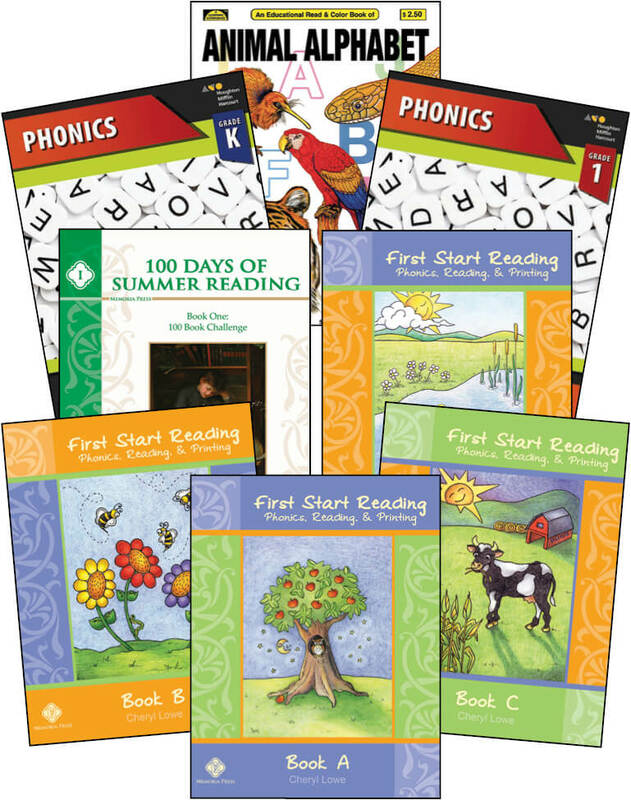 The books, flash cards, and guides themselves are manufactured with high quality materials and the teacher manuals last for repeat use between each of my three children. I only have to purchase the consumable materials for each successive child as they grow. I love all the recitation questions, flash cards, prepared quizzes and tests, and reading suggestion lists for extra reading and study. Everything I need to make sure my 6th grader completes a full and meaningful year of Classical Homeschooling.